Global central banks have shown that they are willing to adopt negative interest rate policies to stimulate stagnate growth. Consequently, in this new so-called NIRP environment, gold exchange traded funds could continue to shine. 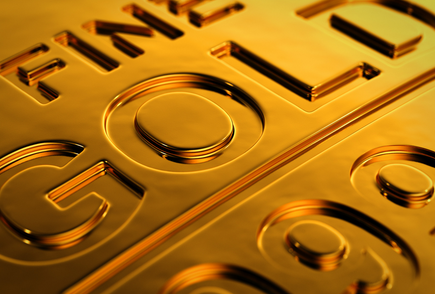 Given the ongoing NIRP environment, with European and Japanese central banks cutting benchmark rates deeper into the red to promote growth, the World Gold Council believes investors may turn to gold bullion as a more stable store of wealth. “History shows that, in periods of low rates, gold returns are typically more than double their long-term average,” according to a recent World Gold Council research note. With government bonds depressed due to the negative yield environment, fixed-income assets would be less effective at hedging market risks and may appear overbought in some areas – about 30% of high quality sovereign debt, or over $8 trillion, is trading with a negative yield and almost an additional 40% with yields below 1%, according to the World Gold Council. Consequently, portfolio analysis suggests that investors should utilize alternative hedging tools, such as gold, in a low-rate environment, especially among pension funds and foreign reserve managers whose investment guidelines are stricter or retail investors with lower risk tolerance. “We believe that, over the long run, NIRP may result in structurally higher demand for gold from central banks and investors alike,” the World Gold Council added.